Tony Iommi will help bring the rock to this year's Eurovision Song Contest. The Black Sabbath guitarist has written the song that will serve as Armenia's entry in the annual competition. According to the BBC, "Lonely Planet" is a rock ballad and will be performed by the Armenian band Dorians. 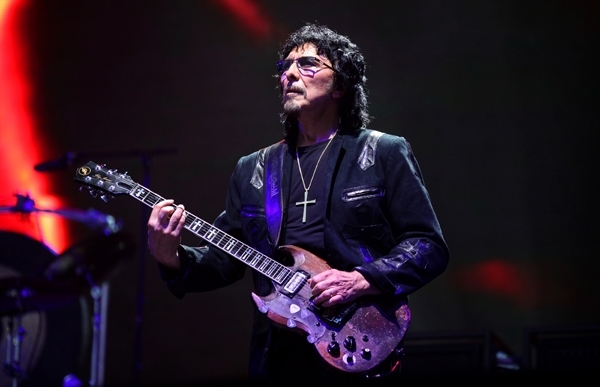 Though he was reportedly skeptical when first contacted by Armenia's Eurovision representatives, Iommi has a history with the Eastern European country. After an earthquake ravaged the city of Spitak in 1988, leaving as many as 45,000 injured and 500,000 homeless, Iommi helped raise funds for their recovery, as well as visited Armenia a few years ago to check on the country's progress. He soon became involved in a campaign to raise money for a music school and teamed with Ian Gillan of Deep Purple to form WhoCares and release the benefit album Ian Gillan & Tony Iommi: WhoCares last year. "I first said, 'Oh God, I don't know' - it seemed really strange, me doing a Eurovision song. I don't usually do that," said Iommi. "But I said, 'I've got a rock ballad; I'll send it over'. . . The thing is, I've always thought, 'Oh no, not the Eurovision,' and here I am in it now." The semifinals of this year's Eurovision contest kicks off on May 14th in Malmö, Sweden. Iommi is currently planning a riffs-based album with Queen's Brian May and has been working with the reunited Black Sabbath on their new album, 13, their first with Ozzy Osbourne since 1978's Never Say Die! The latter is set for a June release.